The usage of data is rising each and every day in India. Major telecom companies like Reliance Jio, Airtel, Idea, and Vodafone introduced the 4G network in India. This gave us an experience of high-speed Internet at reasonable prices. This 4G Internet is having a revolutionary change in the digital world. People are getting used to the 4G speed and everyone wants a fast Internet. However, not everyone has a 4G device which makes people rely on Wi-Fi. Some people want high-speed Internet even while traveling. This is where portable Wi-Fi devices and MiFi come to help you. MiFi devices are popularly known as mobile hotspots. These are small routers which you can take anywhere with you in your pocket. MiFi devices have a SIMslot or a USB port which lets you connect it with your SIMor a USB cable. This MiFi can then be connected to multiple devices.MiFi hotspotsin India are getting very famous and you can buy your own devices online or in stores. So if you are looking to buy a MiFi device, here is a list from which you can choose. Huawei E5330 MiFi is also known as a pocket Wi-Firouter. The router supports 21.1Mbps speed. You can use a SIM card of any mobile services and that is the reason it is known as an unlocked router. It can connect up to 10 devices. D-Link is one the well-known brands for networking devices. The D-Link router is the best selling router in the mobile hotspot category. The router has a slim and stylish design. The D-Link DWR-720 offers 21.1Mbps speed. It lets you connect to multiple devices and provides good network. This router by TP-Link is affordable and has an easy setup for networking devices. You can access theInternet by a USB dongle or connect it directly to the LAN connection. It is portable and convenient to travel with anywhere you go. The ZTE MF65 is a mobile router with a unique design. It has a download speed up to 21.6Mbps and connects up to 10 devices. If you are looking for a MiFi with asleek design then this will be the best for you as it is fashionable. 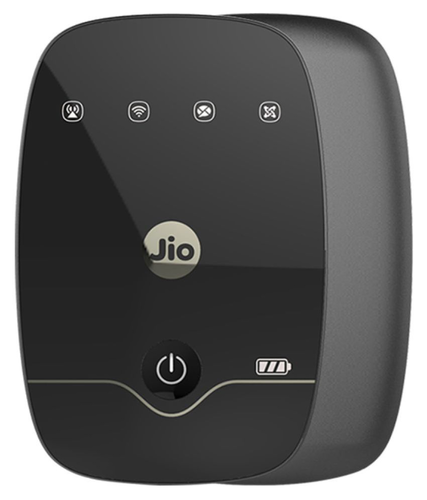 The JioFi device from Jio has a truly amazing speed and you can enjoy the 4G VoLTE technology on your smartphones with it. It has a built-in rechargeable battery which means you don’t have to look for electric outlets anymore. This router connectsup to 10 devices and has a 2300mAh battery that supports 5 to 6 hours surf time. You can get these MiFi devices according to your requirements. Though most of them connect with 10 devices, you can still check for more.